For the last few years, I have taught and preached without notes. There are times when I deviate from this: if the topic of the sermon demands careful wording, for example. But I usually teach and preach without notes. Why? I’ll give three reasons, but they are all somewhat indebted to Andy Stanley’s Communicating for Change, which convinced me to began teaching without notes. First, I can connect with the audience better, because without notes I freely adjust my content and intonation to engage the audience. Second, I naturally create complicated lessons, but forcing myself to deliver them without notes leads me to simplify them. After all, a complicated lesson with many points and subpoints is difficult to commit to memory. Third, I find my lessons “flow” better and contain better transitions. I think teaching without notes causes me to make sure the various parts of the lesson naturally flow together and transition into each other so that I can more easily remember them. 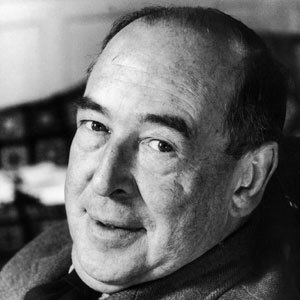 This morning, I was rereading sections of Alister McGrath’s biography of C. S. Lewis, C. S. Lewis: A Life. I read this description of C. S. Lewis’s lecture style, and I thought I would share it. “With such a capacity for memorization, it was perhaps inevitable that Lewis would deliver his lectures without notes. Lewis gave his first lectures at Oxford in October 1924. Even then, he had decided that he would not speak from a full text. Lectures that were simply read out to their audiences, he explained to this father, tend to ‘send people to sleep.’ He would have to learn to talk with his audiences, not to recite his lectures to them. He had to engage their attention, not merely discharge information.” (C. S. Lewis: A Life, 166-67).